Crypto hype is everywhere. The Great Bitcoin Bubble Burst of 2017 with its soaring highs and despondent lows certainly dominated the headlines, and rightly so – it’s often mind-boggling to think that people are willing to pay $10,000 or more to own a single Bitcoin, even though it’s nothing more than a simple collection of ones and zeros sitting on a hard drive somewhere. Though you wouldn’t know it from your news feed, blockchain technology has more important uses than just creating digital currencies. An example of this is how a little-known programming standard on one of Bitcoin’s oldest rival blockchains has, slowly but surely, revolutionized the digital app landscape. Long in the shadow of the Bitcoin blockchain, its younger but more-advanced brother Ethereum has certainly come into its own in recent years. Yet even though a single Ether coin is only a fraction of the value of a Bitcoin, the Ethereum network is much more versatile than Bitcoin will ever be. The biggest and most disruptive example of Ethereum’s versatility is easy to see, as it’s already been quietly changing the crypto landscape for quite some time. Ethereum is designed to do much, much more than simply handle cryptocurrency transactions, and smart blockchain developers have leveraged this blockchain’s special ability: the ability to create new cryptographic tokens — essentially new cryptocurrencies — without having to create a new blockchain for each of these tokens. 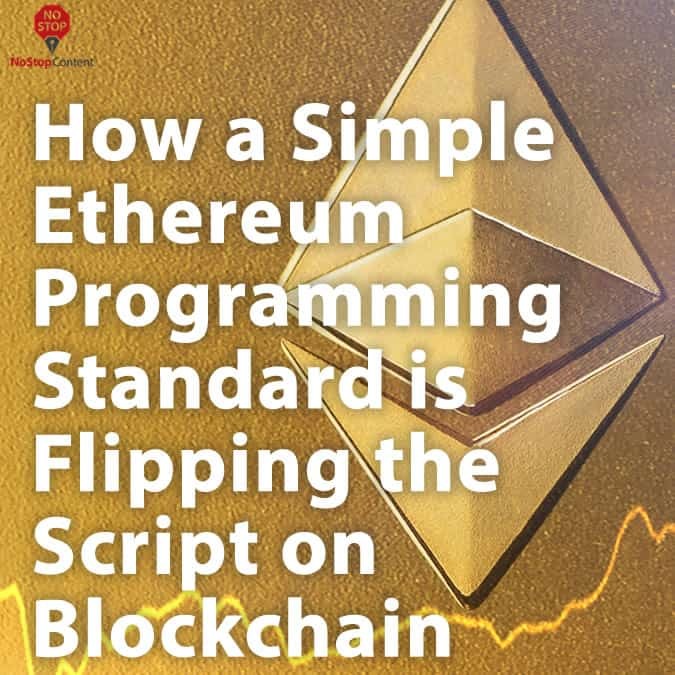 ERC20, with the ERC standing for “Ethereum Requests for Comment”, is a specific programming standard for writing interconnected programming instructions on the Ethereum blockchain. These sets of instructions are known as “smart contracts”, and they can can reference one another in ways to make whole sets of them work together to create new and interesting use cases. ERC20 is a smart contract standard that was put together specifically to allow developer to create virtual cryptocurrencies that exist exclusively on the Ethereum blockchain. These crypto tokens look, feel, and act like independent cryptocurrencies, but they’re all powered by Ethereum. This simple programming standard has been a major force for change in the world of cryptocurrency. Prior to this development, anyone who wanted to develop their own cryptocurrency, or a platform revolving around a specific cryptocurrency, needed to start from scratch by designing their own blockchain from the ground up. However, with Ethereum allowing developers to use the blockchain’s existing infrastructure, and with providing a clear standard to program to, it takes much less time and effort needed to create what is effectively a new cryptocurrency. 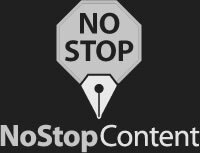 The opportunities that the ERC20 standard have created are nothing short of revolutionary. Creations of specific tokens mean that those who want to design a specific blockchain project can now crowdfund their efforts through initial coin offerings of their token, using the proceeds of this ICO to develop the project and to provide their investors with a return on investment in the future. With ERC20-based tokens paving the way for ICO crowdfunding, developers that want to create their own blockchain-based project have more options than ever. This is a boon for the crypto community, as encouraging the continued development of blockchain-based projects known as decentralized applications (dapps). These dapps offer unique ways to interact with a blockchain besides just transferring digital assets from one account to another, allowing users to accomplish any number of highly complex tasks. There are dozens of dapps in development across the crypto community. These dapps range from rather ridiculous concepts like buying, breeding, and selling collectible digital cats to more useful ones like cryptocurrency lending platforms, blockchain-enabled web browser plugins, media content management systems, and much more. A good many of these dapps would never have been funded without an ERC20 token ICO generating the necessary funding. Tokens created with the ERC20 standard have a number of advantages above and beyond simply being able to use them as a dapp crowdfunding vehicle. As mentioned previously, dapp development is made much less strenuous by designing around ERC20, as programmers have no need to start from scratch, designing a brand-new smart contract-enabled blockchain for their specific application. This saves time, money, and (most importantly) sanity. Meanwhile, the functionality of ERC20 tokens being dependent on Ethereum means that each and every Ether wallet is also an ERC20 wallet. No matter whatever disparate ERC20 token you want to purchase or exchange and no matter how many different tokens you hold, you need just one single address to make transactions: your Ethereum address. You will, of course, need a specific Ether wallet that supports for the token or tokens you want to hold, but the receive address for that single wallet will be sufficient for each and every ERC20 token it supports. Ethereum’s ERC20 standard makes it a powerful cryptographic tool, one that proves, once again, how the Ethereum blockchain’s versatility is able to accomplish things that a blockchain like Bitcoin could never. Ether may never reach the rarefied heights of Bitcoin when it comes to speculative value, but the utility and versatility of its blockchain makes it stand head and shoulders above the rest. The impact of Ethereum-based innovations like ERC20 cannot be understated. New blockchain ledgers and cryptocurrencies may rise and fall, but none are likely to contribute in the same way Ethereum has and continues to do so, for the foreseeable future.